The first part of this book introduces this technology. 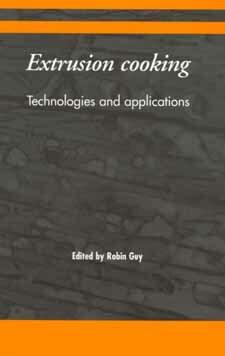 It examines extruders and their use in thermal transitions of raw materials into functional forms for the manufacture of particular foods. It also includes valuable guidance on the range of extruders and how to select the correct one, as well as the basic requirements in a typical extrusion process. The second part looks at the application of extrusion in specific product groups. Each chapter examines the range of extruded products within the product group, the specific production issues to the products, and future trends.